@vapor_cat @A-Scintillation @warrior_willowbreeze @_wildfire @lovlii @malbearpug r amazing! 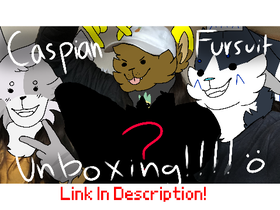 Caspian Fursuit Head Base Unboxing! +FACE REVEAL?? ?